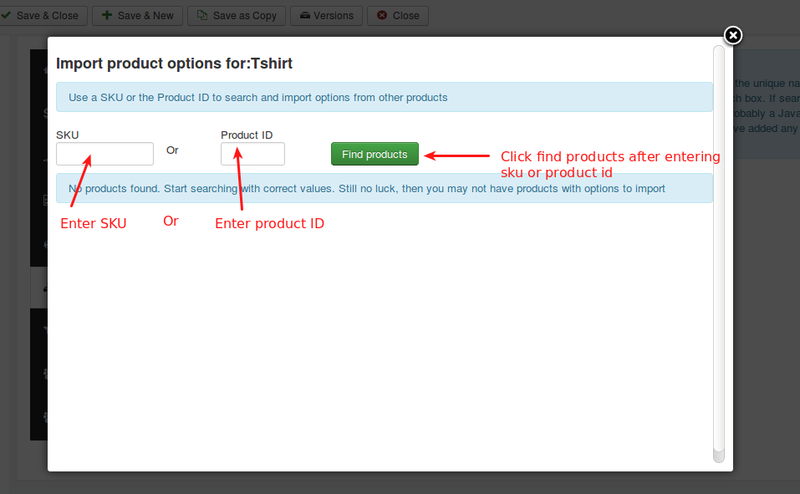 If an option is created and set already for any one of your products, you can also import it here rather create again. Click the button and it will direct you to the predefined options, if any. How to import product options ? Follow the instructions below to import options from one product to other product. Go to Article Manager and open your product. Move to J2Store cart tab. 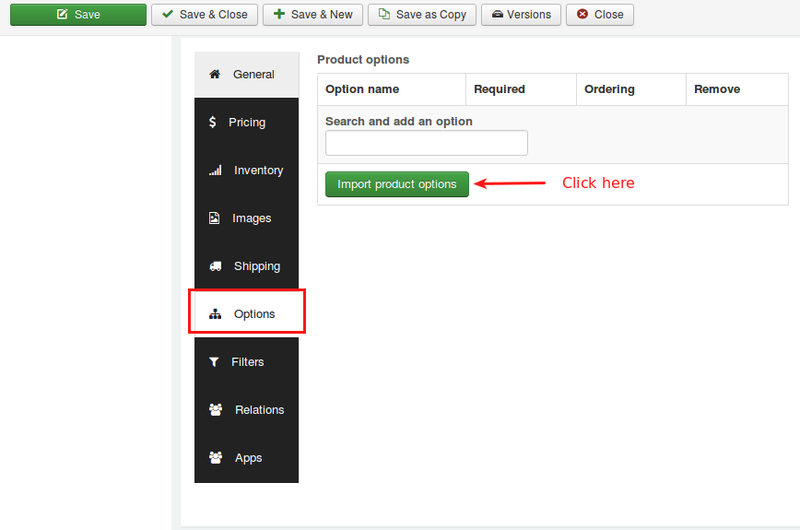 Click Import product options button. 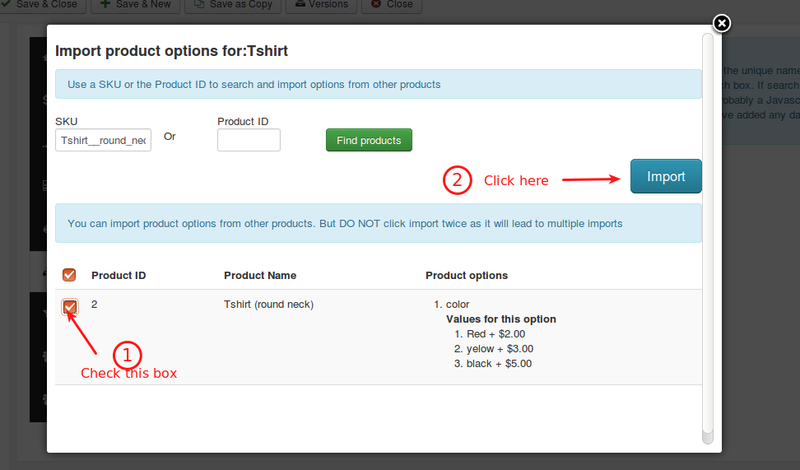 Clicking on Import product options button will show you the popup window. 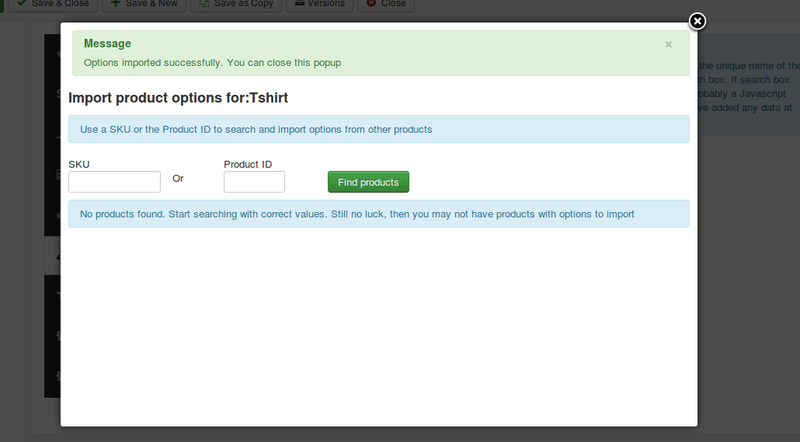 In popup window, use SKU or product ID to search for the products. The product you are searching for should have options. Popup window shows search results. The result shows the product you search for. Check the checkbox and click the Import button at top right corner of the popup window. If still no luck, then you may not have products with options to import. Now close the popup window and save the article. You will see the options.